Dock-to-ground ramps are the perfect solution for material handling situations where vehicles travel from grade level to dock height. In comparison to our mobile yard ramps, dock-to-ground ramps are traditionally used in fixed loading situations for long-term, reliable loading and unloading. Because the ramp goes directly from the dock height to the ground, there is no need for a hydraulic pump or tires. 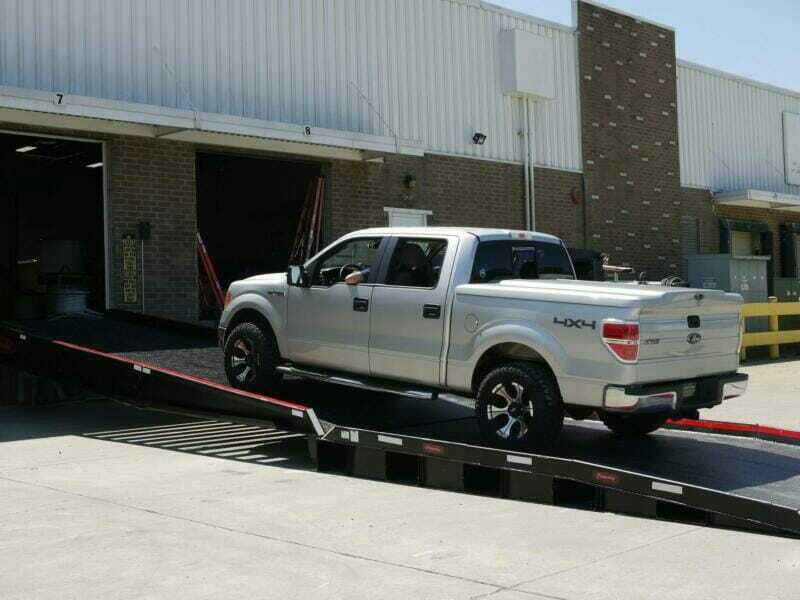 Copperloy’s yard ramps can be custom built to match your existing loading dock specifications or requirements. Versatility: With standard widths up to 118 inches and capacities up to 30,000 pounds, Copperloy’s dock-to-ground ramps can accommodate just about any unique loading application. Unlike concrete ramps, our dock-to-ground ramps can be relocated when needed. For additional widths and capacities, please contact the factory. Low Maintenance: Our dock-to-ground ramps require minimal cleaning and repair. In addition, they’re designed to be installed quickly and stored easily. 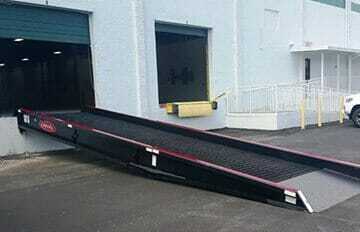 It’s the perfect piece of equipment for loading docks. 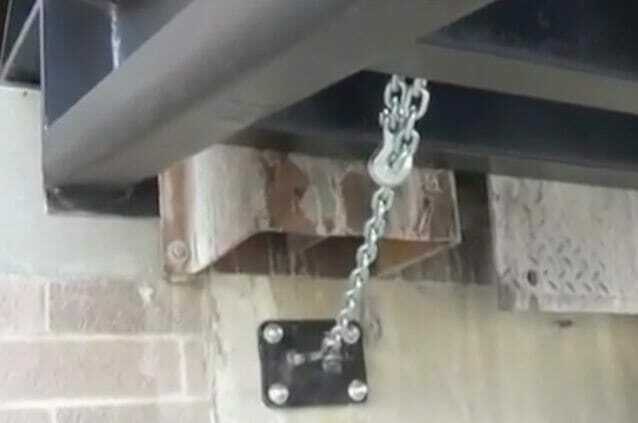 Safe Handling: Safety chains and brackets are included to prevent the ramp from sliding off the dock ledge when being used. We also provide 7-inch safety curbs that prevent accidental runoff during the loading process. Durability: Our ramps are built to last! 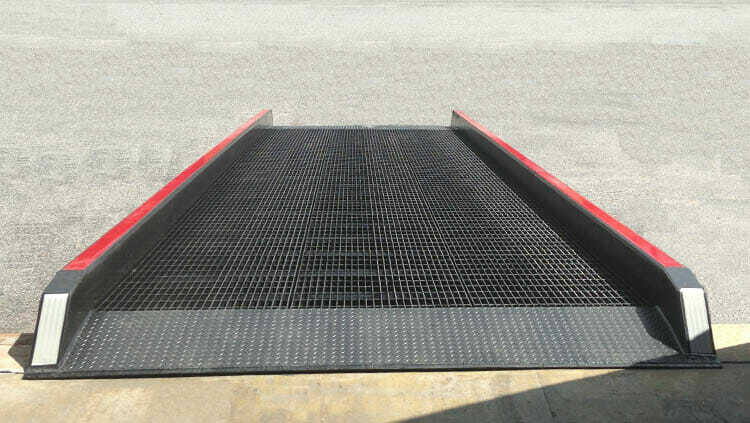 All of our dock-to-ground ramps are designed to withstand frequent usage at heavy capacities. The open-faced steel grating of our dock-to-ground ramps allow snow, water, and other debris to fall through, leaving a high-traction running surface. Our dock-to-ground ramps offer a more versatile alternative to permanent concrete installations. Standard capacities range from 16,000 to 30,000 pounds, with widths available up to 118 inches. Custom sizes and capacities can be accommodated upon request. Below is a custom two-piece, extra long dock ramp Copperloy was able to create for a unique loading situation. View our Dock-to-ground ramps videos here and visit us on YouTube for more of our videos!